New, or rather updated online gambling laws are on their way in Australia, and as a result a number of operators are deciding to exit the market. 32Red and Vera&John have already made the decision to stop serving Aussie players, while Party Casino have stated they will pull out once the law has passed. The Interactive Gambling Amendment Bill 2016 (the IGAB) was introduced in late 2016 in response to recommendations made in the 2015 Review of the Impact of Illegal Offshore Wagering. In the simplest possible terms, those recommendations (all 187 pages) were all about giving the Australia’s existing net gambling law, the Interactive Gambling Act 2001 (the IGA) more teeth to do what it was intended to do. The IGA, one of the first pieces of online gambling specific legislation enacted globally and largely prohibitory in nature has always been all gums. 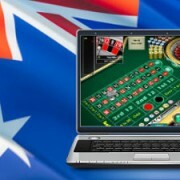 It allows for the provision of locally licensed online sports betting or wagering services but prohibits operators from offering online casino or poker games to Australian residents. Few operators have taken much notice of the prohibit part however. History clearly demonstrates that operators would only ever take the decision to block Australian’s from their online casino or poker tables, if and when they decided to apply for an Australian sports betting license. William Hill’s Australian exit, bet365’s Australian exit, and Unibet’s Australian exit are all examples of this. Large, regulated operators not wanting an Australian sports betting license (eg 32Red) have always paid the IGA scant regard. The IGAB is a bill that amends the IGA. It isn’t law yet. A couple of weeks ago it was passed in the Senate after a couple of a minor amendments, so must return in its current form to be passed in the House of Representatives. Eventual passage through both houses is pretty much a formality, but may not occur until as late as July. 1. Provide more clarity on what is prohibited and what is regulated. The IGAB tightens definitions on which forms of online gambling are prohibited (online poker and casino games), and which are regulated (online sportsbetting, wagering on horse races and lottery products). 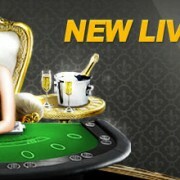 In the absence of a local license the provision of any interactive gambling service is prohibited. It also closes the loop-hole that operators were using to enable in-play sports bets (lead by William Hill and their ‘click to call’ in-play bets). 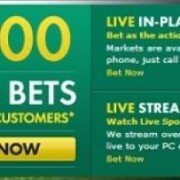 All in-play sports bets are now prohibited. 2. 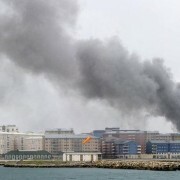 Introduce stronger enforcement measures. All of which should discourage local operators from offending. Pokerstars may have to rethink their 200 staff Sydney office. disclose details of offending offshore operators to international regulators. As mentioned at the beginning of this post, a couple of big name operators are already out. So the proposed changes are already having the desired effect. 32Red’s decision may well have been influenced by their new masters Kindred who do have an online sports betting license they would not want to jeopardize.